I can't get over the colors in this picture! Sooo pretty. 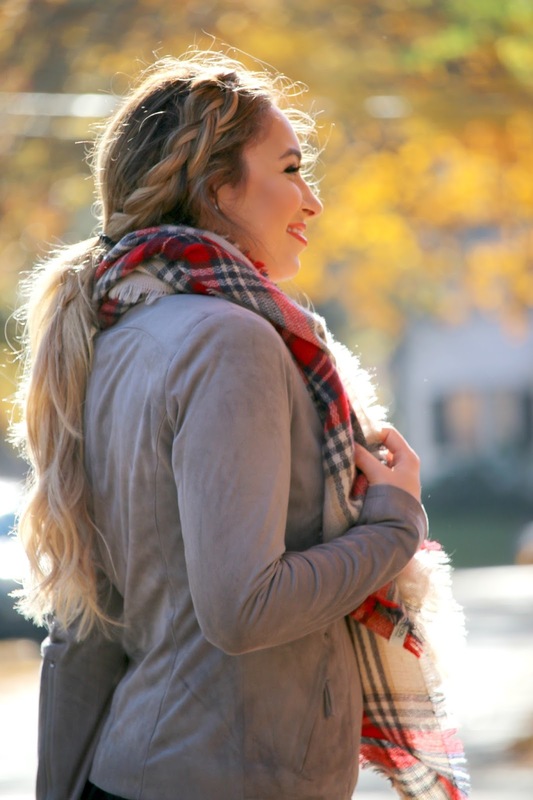 A low pony with a side braid is my "go-to" when wearing a chunky scarf because I feel like there's nowhere for my hair to go. Quick, easy, & cute! Over the knee boots will forever be one of my favorite things. My everyday fall uniform isn't unique, but I just love this look! There's nothing more season appropriate to me than leather boots, skinny jeans, a suede jacket, and a cute scarf. This combo is easy yet has a "put together" kind of feel to it. I also love that all of these pieces are incredibly universal. You can mix and match pieces like these, and come up with completely different outfits! We took these photos last weekend after a Starbucks and a walk around a cute neighborhood. 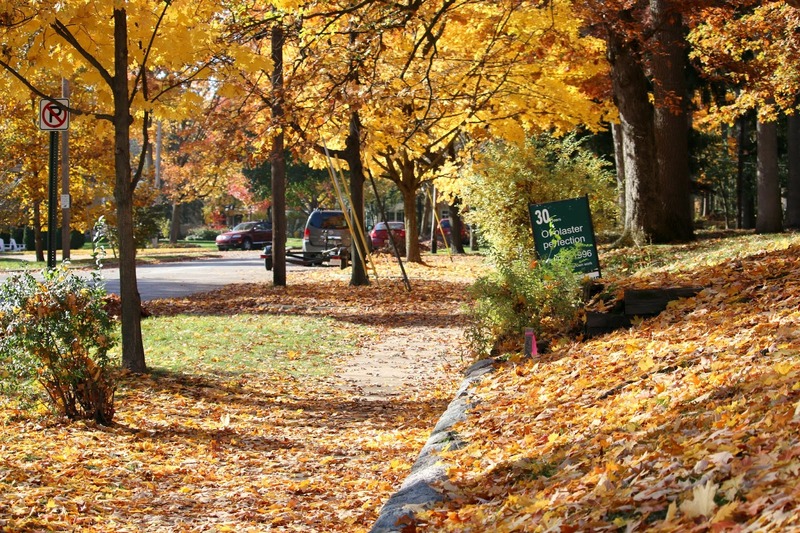 I love to go for walks in the Fall because I know it's going to be difficult to do that soon when the snow falls! I hope you enjoyed today's post.